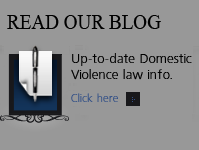 Colorado Domestic Violence: An Industry - Denver Criminal Attorney Specializing in Domestic Violence Cases - Colorado Criminal Defense Lawyer. True domestic violence must stop. No rational person condones violence toward anyone, particularly a family member or intimate partner. In America there are many tragic domestic relationships that involve battered men, women, and children. A true victim in a violent intimate relationship needs immediate support and protection. A true batterer needs to face the legal consequences of their actions. But the term “batterer” is commonly misused in domestic violence debates. Battering does not refer to a single argument, nor does it mean the occasional conflicts that many couples have that may grow to yelling at each other and some pushing or shoving. Rather, battering involves beating and verbally abusing an intimate partner over a long period of time. The Colorad State Legislature has enacted laws to assist police and prosecutors convict the guilty and stop the abuse of intimate partners and family members. The intent behind these laws is well meaning but problems arise when laws designed to protect a victim of domestic violence are used too broadly and are applied to normal families and relationships. A big difference exists between an abusive partner repeatedly committing violent acts, and a nonviolent family or relationship in which a single argument went too far. If an argument between intimate partners and spouses is the benchmark for domestic violence, then almost every couple and family in America would be defined as an abusive relationship. This governmental overreaction, and dragnet targeting of normal families and relationships, and treating them as criminals has led us to massive injustice across the nation. Husbands and wives, boyfriends and girlfriends, have arguments. Does that now mean, or justify, a trip to jail and a criminal conviction with lifetime penalties? • Use self defense to stop a girlfriend, spouse, or household member from attacking you. • Serve, or have served in the Armed Forces of the United States, nor is such service a reasonable basis for “fear” in a rational and sane individual. Once the authorities become involved in a domestic disturbance, they will forever be intertwined with the eventual outcome of the incident. The State, meaning the government, police, and prosecutors, solely decide if a case will be prosecuted or dismissed. Even if the “real victim,” i.e. the person who supposedly was assaulted, informs the authorities of their desire to have the case dismissed, the charging decision is still left up to the government. A constant complaint from those at the center of a domestic violence investigation is how irrelevant the family is to the investigative team. The team wants to win the case. It wants a criminal conviction. And will do anything to get it. The team, despite its public overtures, does not care about the individual family it is making life-altering decisions for. The family, alleged victim, defendant, and children alike are all mere pawns, literally at the mercy of this governmental machine. The machine knows very well how to destroy families, yet it knows nothing of healing them. “The woman sitting across the table often breaks into tears and fits of trembling. She lives in fear. She says she has been threatened and emotionally battered by those who call themselves “front-line workers” in the war against violence against women. Since the violence against women specialists invaded their lives a year ago, husband and wife have developed ulcers, been financially battered and say they survived many attempts to break up their marriage. Now they’re angry…From the start the advice from support workers connected to the Domestic Violence Court was that she should break up her marriage. She should not risk living with a violent man. Her attempts to defend her husband were met with we-understand-and-we-know-better attitudes; she was afraid of him and was trying to protect him so he wouldn’t be angry. When it became clear she had no intention of separating from her husband, the threats from domestic violence specialists connected to the court moved to a new level that still terrifies her. In the Domestic Violence industry, when the accusation is made, the case is closed. In response to the need to supply the necessary bodies to perpetuate the domestic violence industry, law enforcement has adopted a new tool: Zero Tolerance. What does “Zero Tolerance” mean? Two police officers will be dispatched to a home regarding a domestic disturbance. They will not arrive empty handed. Patrol units, equipped with computers, enable officers to quickly determine if this address has had any prior domestic incidents. Officers will know the complete criminal history of each spouse before arrival. Then the two officers will confer with each other and compare stories. A decision to arrest will then be made. This entire “investigative” process can be completed in mere minutes, with the arrest decision made in a split second. “Zero Tolerance” by the police leads to a “No-Drop” policy by the prosecution. An arrest means the case will be prosecuted. The “protectors” view of their job entails ending the relationship for the safety of the “victim.” Prosecutors are not concerned with the wishes or needs of the real victim. The “No Drop” policy requires the case to go to trial even if the real victim wants the charges dismissed. “No-Drop” means the government will push the case all the way regardless of hardship upon the family. To the entrepreneurs of the Family Violence Industry, “helping” the victim necessitates separation of the family, enforced through protective orders, followed by divorce. In addition, the helping agenda probably includes loss of employment for the accused spouse, financial hardship, and adding unnecessary emotional stress to a family. “Zero Tolerance” means that the government, not you, the government, knows what is best for your family and children. If the government is so concerned about stopping family violence and helping families, why would they push prosecution when the family is asking them not to? The current ” crime de jour” is domestic violence. “These people, some idealistic and some merely pragmatic, have networked, talked with each other, served on various commissions, boosted each other’s careers, and helped to expand the definition of family violence, and the size of state and federal funding massively. Only ten years ago, the women’s safety-advocates were a small group of idealists, operating on pennies. Today the movement has grown large on state and federal tax monies. Every month, it seems spawns new sub-programs, clinics, shelters, research institutes, counseling centers, visitation centers, poster campaigns. Today, domestic violence is a big industry. The media, pressured by women’s safety advocate groups has perpetuated public hysteria by over inflating the true incidence of domestic violence. While a legitimate social problem and cause for reasonable concern, the response to the force-fed hysteria has been legislative overkill. Federal law provides funding to states for the creation, development, and utilization of Family Advocacy Centers through the Family Violence Prevention and Services Act. The bottom line for the falsely accused is this: Domestic violence is now an enormous financial industry. Each state receives millions of federal dollars in grant money by adopting provisions of federal law. In effect, the government has created a self-fulfilling prophecy. Federal money is awarded to communities who can statistically justify the need for a family violence center. In so doing, the government itself perpetuates charges of domestic violence. It creates a “Domestic Violence Industry.” This circular reasoning mirrors the previous “crime de jour” of child sexual assault in the 1990’s. 3. The alleged victim to “assist” in the prosecution of the alleged perpetrator. 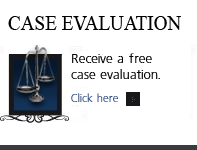 Assisting in prosecution means the victim must testify against the defendant. It also often means the victim must pursue divorce proceedings against the defendant. If the victim does not want to divorce or testify, advocates will eventually threaten her with failing to protect her children. Then the protectors will threaten removal of the children unless the victim pledges allegiance to the team and assists in convicting the defendant. Pro-football star, Warren Moon, former quarterback of the Houston Oilers and Minnesota Vikings was charged with domestic violence assault in July 1995. The case captured national attention as his wife, the alleged victim, Felicia Moon did not want to testify or pursue charges. The prosecution forced Felicia Moon to testify after the Texas Legislature amended and limited the “husband-wife” privilege. Prior to the change in the law, a spouse could elect not to be a witness for the state to testify against the other spouse. “The couple said they scuffled at their home July 18 after an argument over credit cards provoked Mrs. Moon to throw a 2-pound candle holder at Moon’s back. Mrs. Moon ended up with scratches and bruises around her neck and shoulders. Moon said that he was probably responsible for the injuries but that he was trying to calm his wife, not harm her. Terri Langford, Associated Press, February 23, 1996. It took the jury merely 27 minutes to acquit Warren Moon of the assault. Hearsay is defined as “a statement, other than one made by the declarant while testifying at the trial or hearing, offered in evidence to prove the truth of the matter asserted.” In layman’s terms, hearsay occurs when a witness testifies regarding what they heard someone else say. Hearsay is inadmissible at trial; however, there are many exceptions to the hearsay rule. An excited utterance is defined as “A statement relating to a startling event or condition made while the declarant was under the stress of excitement caused by the event or condition.” It is common for a statement to be admitted at trial as an excited utterance even if the incident occurred several hours prior to the officer obtaining the statement from the victim. The hearsay exception of excited utterances also allows the state to play the recorded “911” call from the victim to the jury. Whether an “excited utterance” is admissible is within the discretion of the trial court judge. A criminal defense attorney will object to hearsay testimony as a violation of the defendant’s right to confront their accuser at trial. When a witness at trial is reciting hearsay testimony, the defendant cannot cross-examine or confront the person who actually made the statement. The person who made the statement, called the declarant, is not the witness on the stand. The United States Constitution and state constitutions guarantee the defense the right to confront the accuser at trial. Generally speaking, an objection on the grounds the confrontation clause was violated is overruled by the trial court judge if the state can prove a hearsay exception. On March 8, 2004, the United States Supreme Court decided the case of Crawford v. Washington, 2004 U.S. Lexis 1838, 72 U.S.L.W. 4229. The court interpreted the Sixth Amendment “Confrontation Clause” of the United States’s Constitution. In Crawford, the Court found the confrontation clause was violated when a recorded statement by Crawford’s spouse was played for the jury. Crawford’s wife did not testify at trial under Washington’s “husband-wife” privilege. The case may not impact traditional hearsay rule exceptions. The Court made a distinction between “testimonial” and “non-testimonial” hearsay. The spouse in Crawford had also been arrested and gave her statement while in police custody. The Court found those circumstances to be testimonial hearsay, inadmissible as a violation of the confrontation clause when the recording was played at trial and she did not testify. Defendants have been convicted of domestic violence without any physical evidence introduced against them at trial. In many cases, the argument resulting in the arrest was so slight the alleged victim does not need or seek medical treatment. 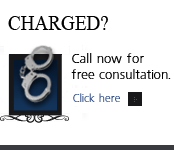 Frequently, the accused is convicted for intentionally causing “bodily injury” without any testimony from a qualified medical expert. The victim’s testimony alone that she felt pain or suffered bodily injury is sufficient for a conviction. This testimony can be supported by police officer testimony of having observed red marks, scratches, or bleeding, to substantiate the decision to arrest. These claimed injuries may or may not be photographed and preserved for trial. Commonly, a defendant is convicted of causing bodily injury without medical or photographic evidence. Instead of physical and medical evidence, the falsely accused are now, and will continue to be convicted upon theories, inferences, and speculation. Prosecutors secure convictions by manipulating the juries’ fear of releasing a battering spouse back into the home. This fear will be combined with hearsay, expert witness “syndrome evidence,” misleading medical testimony, and the biased opinions of family advocacy investigators. Immediately after arrest, the alleged victim will be hustled to the family advocacy center to be interviewed. At the center, a “forensic interviewer” with the help of state agents will orchestrate a video taped interview. The prosecutor and police detective will be monitoring the process through a two-way mirror in the adjacent room. The interviewer will be in communication and fed questions from the agents through a wireless microphone earpiece. The interviewer will question the alleged victim when she is still highly emotional and upset, prone to exaggeration, and motivated to hurt the accused. Many cases have shown investigators the need to require an alleged victim to add the phrase “I felt pain,” to any written or verbal description of the incident. The alleged victim is unaware that “pain” is the legal buzzword authorities must have to prosecute. 9. Conviction on little or no physical evidence.